Pluribus Networks is proud to be a founding member of The Linux Foundation Edge (LF Edge), a new organization announced on January 24th. As it has so many times in the past, The Linux Foundation is once again bringing the industry together. LF Edge is a new umbrella organization designed to establish an open, interoperable framework for edge computing. The goal is to foster a unified, open framework that brings multiple complementary projects under one central umbrella to create collaborative solutions that are compatible and support the edge ecosystem. 5G and IoT are catalyzing this new distributed cloud architecture in order to deliver these new applications. As the numbers of data centers increases, the management of the infrastructure gets increasingly complex. Pluribus Netvisor® OS and Adaptive Cloud Fabric™ are an ideal solution for this type of distributed environment, and we look forward to contributing to LF Edge as we jointly architect and develop the networks of tomorrow that will enable the edge and 5G future. If you are interested in learning more about the edge, you can watch our on demand webinar with SDX Central Webinar Multi-Site Data Center Unification and Preparing for Edge Compute or you can register for our upcoming Light Reading Webinar Building the Edge – Understanding Distributed Cloud Networking. 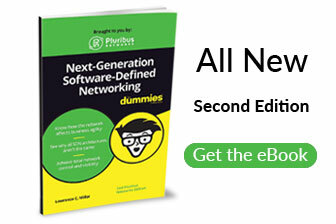 Kumar is the President and CEO of Pluribus Networks. Prior to joining Pluribus, Kumar was VP/GM of HW Engineering for the Enterprise Networking Business at Cisco where he was responsible for the HW engineering execution of Cisco’s Enterprise Networking portfolio. 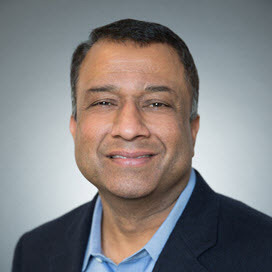 Kumar brings 25 years of diverse leadership and operational experience in the technology industry that spans development, marketing, and engineering across computing, silicon and communications industries.